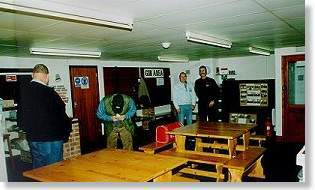 The indoor range and clubhouse largely built by the Club’s own skill and labour consists of a seven point 25 yard indoor range for small bore and pistol calibre rifle. The club house has a seating area and kitchen facility for making drinks and there is also toilet facilities. 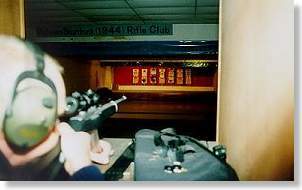 The indoor range with automatic turning targets. 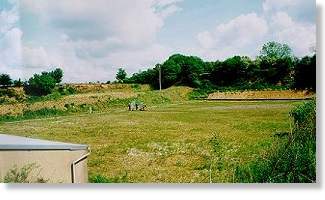 The 20 point outdoor range for any rifle up to .577 calibre and black powder pistol.